At The Peninsula All-Suite Hotel, it’s all about the location. 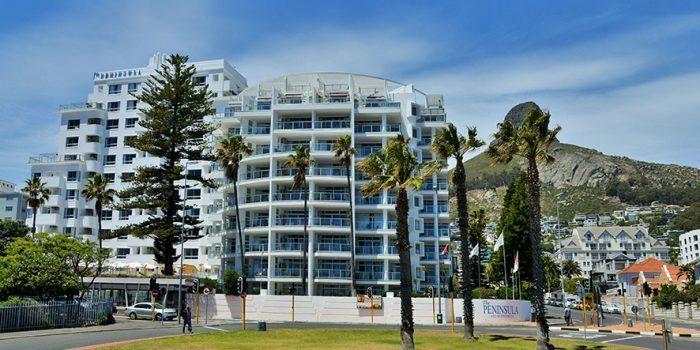 Set in the cosmopolitan seaside suburb of Sea Point, guests are just a short walk to an array of trendy restaurants, bars and shops, set against the backdrop of Lion’s Head with the scent of the Atlantic Ocean never far. This 4-star Sea Point hotel provides comfortable accommodation in modern suites, with luxury self-catering options and even a grocery delivery service. While the warm South African hospitality and exceptional service are second-to-none, it’s the magnificent views of Lion’s Head and the Atlantic Ocean that will truly inspire. Enjoy a tranquil alfresco setting at The Peninsula All-Suite Hotel’s Sunset Restaurant – the glass doors opening onto the gardens and pool area, provide the perfect spot for a refreshing sundowner after a busy day out exploring Cape Town. For conference delegates, The Peninsula offers an Executive Boardroom and 100-seater Society Room, ideal for gatherings and events. Free WiFi is offered through the hotel. The Peninsula All-Suite Hotel’s close location to the CTICC and City Bowl also makes it an ideal option for business travellers meeting clients in the city. For families, the golden beaches of Clifton and Camp’s Bay are within close proximity, along with Cape Town’s top attractions, including the V&A Waterfront and Table Mountain Cable Way. Book your tours and travel experiences with absolute ease at our on-site concierge and enjoy the convenience of our free shuttle bus service within 8km from the Sea Point hotel. 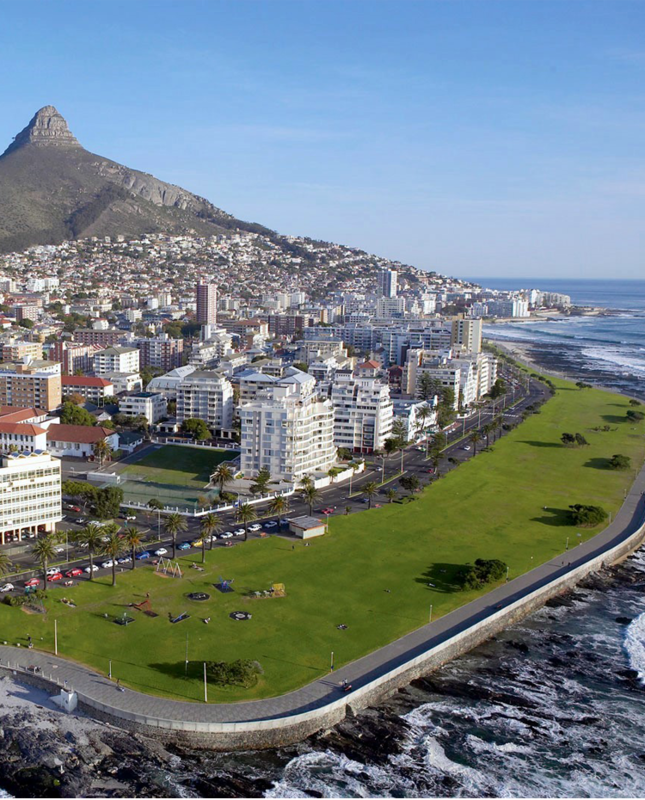 Or simply stroll down to the picturesque Sea Point promenade and join the locals walking, cycling and jogging on the fringe of the Atlantic. Outside Jacuzzis have been empty since 25 August 2017. All bath plugs have been removed from our suites. We are encouraging guests to shower instead of bathing and have replaced the plug with a little rubber toy. If our guests need to bathe, they are given a bath plug in exchange for their rubber toy. We appeal to all our guests to be mindful of the severe water shortage and understanding of the measures that we have undertaken to save water. to discerning visitors from around the globe.